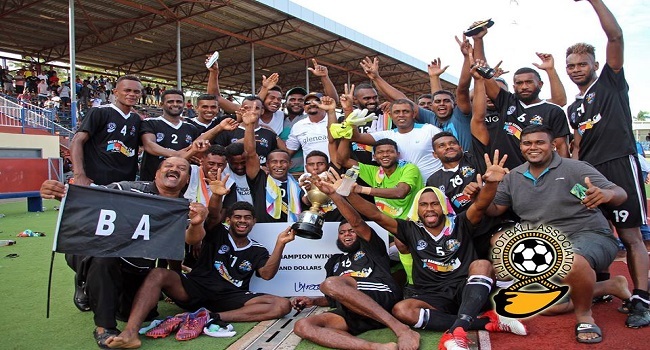 The Ba football side has won the 2018 Pillay Garment Champion versus Champion Series beating Lautoka 2-1 in the second match at Churchill Park. Samuela Drudru scored first for Lautoka while Darrel Kakasi and Malakai Tiwa managed to get the goals for the Men in Black. Ba also won the first match 1-nil against Lautoka on Friday. Ba Coach Ronil Kumar says he had faith in his players and their hard work has paid off. Ba midfielder, Abbu Zahid says the young players in the team showed a lot of dedication and commitment towards the series. Both teams will take a break before starting the preparation for the OFC Champions League.